I would start this diary by saying “Happy Sunday,” but let’s face it—Sundays for the past few years have been anything but happy for Rory McIlroy fans. Even as a Rory diehard, I was recently forced to admit that the man who crowned himself the king of the younger generation in 2014 had not only forfeited that title and had not only fallen from glory … no, he’d actually become a bad pressure player. The numbers are staggering: He has now gone winless in his last nine times playing in the final group on Sunday. Nine times! Unthinkable! This isn’t a Jordan Spieth situation, where his game has vanished into the abyss. Rory’s giving himself plenty of chances, but he can’t close. It has to change soon. He’s not in the final group at the Players, but he’s just one shot off the lead, and this strikes me as the ideal time for him to break the curse. As Mark Broadie and I discovered last year, Jon Rahm—the current leader—is the worst of any active golfer at “stepping it up” for the majors, and while the Players isn’t technically a major, the pressure will be the same. Tommy Fleetwood, tied with Rory for second place, is … well, he’s really good, and he’s poised to do something special. But he still hasn’t won on American soil, so there’s that. And below them, there’s some space before you run into dangerous challengers like Jason Day (-12) and Dustin Johnson (-10). 1:21 p.m.: I’m set up in my mom’s living room here in Naples, Fla., my 16-month-old daughter is sleeping for the moment, and I’m about to read way too much into Rory’s first shot. We just saw a clip of him walking from the driving range, and Dan Hicks said he had a “bounce in his step.” GREAT SIGN. Love that bounce. Winners bounce. Nicklaus used to say that. Worse sign? Dustin Johnson is at -12 already and will probably shoot 58 to ruin the whole day. 1:25 p.m.: Here we go … Rory looks extremely confident, and also terrified. I can’t tell. First shot is UP … and he’s in the fairway, despite Bones predicting that it would get into the pinestraw! The omens are favorable! Meanwhile, David Feherty made his first drunken Irishmen joke, which means I already like St. Patrick’s Day Players Championship better than Mother’s Day Players Championship. Another crucial benefit of the schedule change. 1:35 p.m.: Day is going to bogey the first, which is good for Rory—he needs the field to clear out so he only has to beat one or two guys. If someone below him shoots 65, it just makes everything complicated. Meanwhile, Maltbie predicts that Rahm’s opening drive will miss the fairway, and once again … it doesn’t. Clearly, without Johnny Miller, the NBC team is running too loose. 1:40 p.m.: My stepfather just turned the channel to the Harvard-Yale basketball game, and I rocked back and forth and screamed “Rory” at him until he changed it back. I fear I may be subject to a few mood swings today. 1:42 p.m.: After loose approaches from Fleetwood and Rahm on the first, I’ve decided Dustin Johnson is officially the scariest man on the course. He’s about to go to -13 after a terrific iron on four, and it feels like the kind of day where DJ could be in the lead alone by the ninth hole. 1:48 p.m.: NBC runs a graphic showing that the average score of the 54-hole leader in recent years is 74.9, and on cue, Jon Rahm misses a short par putt badly. His anger potential is truly off the charts today. Then, successfully jinxed by me, DJ misses his birdie putt on four and stays at -12. Then, Fleetwood bogeys. 1:49 p.m.: RORY’S WINNING. MY GOD, HE’S GOING TO DO IT. 1:52 p.m.: OK, I know it’s early, but this seven-foot birdie putt on No. 2 after a strong bunker shot feels disproportionately important for Rory. Bones agrees with me. And … it lips out. All jokes aside, there are 16 holes left to play, but “missing the big putts early” has become a Rory trademark, and I’m officially filled with anxiety again. McIlroy lines up a putt on the par-5 second hole during the final round of the 2019 Players Championship. 1:55 p.m.: Rory’s 8-iron on three is solid, if not great, but I have a bigger problem: I don’t like the color of his khakis. They’re a kind of light peach that you see on discount racks at Penney, as though they got slightly stained at the khaki factory. They don’t feel like winner’s pants. 2:01 p.m.: If you’re looking for good news, nobody that matters is lighting it up early. Rahm is going to blow his chance on No. 2, same for Fleetwood. Day is putting well, but his irons look very loose. DJ’s putting has tanked, and he’s now at -11 and three off the lead. Rory barely sneaks his par putt in on three, though, and he’s not looking any better on the greens. 2:08 p.m.: Jim Furyk can’t win this, right? Right?! 2:08 p.m.: I just realized this could be an incredible revenge narrative. If Furyk comes from behind to beat Rahm, Rory and Fleetwood, that is an unbelievable act of vengeance for the 2018 Ryder Cup loss. Panicking again. 2:13 p.m.: Solo lead for Rory as Rahm bogeys! Which is great, if you ignore the inconvenient fact that the man himself dumped his approach on this hole in the water and is currently hitting his fourth shot on a par 4 from the fairway. The shot is fine, but now he’ll have a very long putt for bogey. Good lord. Nothing has changed today, and I’m wondering who I was kidding—the Sunday disaster storyline is alive and well. 2:18 p.m.: Rory makes double to fall to -12, and his only solace is that everyone else is terrible too. There are now so many lurkers who have a legitimate shot. Rose at -11, Harman birdies to go to -12, Furyk, DeChambeau, Vegas, Ancer … if Rory doesn’t seize some momentum and make some birdies fast, he’s going to disappear into the pack. Time for an overreaction: It already feels like he doesn’t have much of a shot. 2:25 p.m.: Rahm just hit a spectator in the chest, and it is, no exaggeration, the best part of his round so far. He still makes bogey, and RageWatch is at DEFCON 1 billion. “He’s being tested now,” says Hicks, in the understatement of the week. 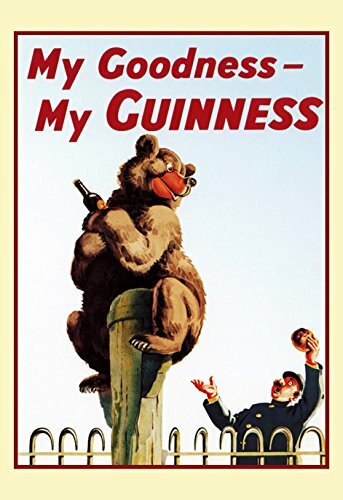 2:27 p.m.: After a 335-yard drive, Rory hits an absolutely abysmal wedge into the fifth green, and it’s time to honor our shared Irish heritage with a Guinness. I wish he could have one too. 2:30 p.m.: It’s been a while, but is Guinness kidding with this new can logo? Bring back the harp! Murder the creepy grinning bear before he hurts someone! 2:36 p.m.: One hour after Rory teed off, as expected, there’s a three-way tie for the lead between Fleetwood, Ancer and Ollie Schniederjaaaaaans. 2:37 p.m.: Really, this is almost worst-case scenario for Rory. Along with dropping two shots already, he now has to beat about 10 different golfers. The Guinness isn’t good enough … folks, I’m going for a caramel Cadbury egg, which for some reason my mom keeps in abundance in her freezer. 2:39 p.m.: Hey, an amazing sand wedge from Rory on six! We’re on birdie watch! 2:43 p.m.: Birdie! Four-way tie for the lead. That was about 455 percent necessary. What’s funny about this round so far is that if you asked Rory if he’d take a tie for the lead one-third of the way through his round, I’m sure he’d say yes. This doesn’t feel too triumphant, but then again, it could be way worse. 2:47 p.m.: Don’t want to mince words here: Ollie Schniederjaaaans’ mustache is a disgrace. Word to the wise, Ollie: When you have a normal mustache, but it’s thin and patchy on the ends, it starts to encroach on “Hitler ’stache” territory. 2:52 p.m.: Feels like we’ve reached the grind zone, where a couple pars wouldn’t be the worst thing. Would be great if Rory started here after spraying his approach right. Tricky up-and-down coming from against the collar … while we wait, welcome back to the leadership club, Jon Rahm … and of course, Rory misses. Bogey. Nightmare. 3:03 p.m.: Guess who’s tied for the lead? If you guessed Rory, you’d be wrong. It’s Jim Furyk. YUP. Furyk came from nowhere to contend on Sunday, and maybe get some revenge on the Europeans in the field. 3:07 p.m.: Rory has a 17-foot birdie putt on eight, and while I know the percentages tell us he has less than a 50 percent chance of making it, one of these needs to go down. Great players make big putts. And this putt … is nothing less than awful. Didn’t give it a chance, lost it left, and seems to have absolutely no confidence on the greens. 3:12 p.m.: Pure, gorgeous tee shot on the par-5 ninth, and this feels like a must-birdie … he’s going for it from 259 yards away, which feels like a potentially awful decision … but it gets a nice kick, and he’ll have a decent shot at up-and-down from in front of the green. The big story now, though, is that Rahm has somehow resisted the temptation to rip off his shirt and attack a group of spectators in a blind rage and has now fought his way back to -14 and a solo lead. 3:25 p.m.: Furyk goes to -14 to tie for the lead, and I’m starting to explore the possibility of jumping ship and joining his fanatical bloodthirsty revenge campaign. 3:27 p.m.: But Rory makes birdie on 9! He’s one off! Furious Jim can wait. 3:43 p.m.: Please, for God’s sake, make one of these putts, Rory … MAKE IT … MAKE IT … another lip-out. Unreal. 3:45 p.m.: It feels like if Rory is going to make birdies, it has to come on par 5s like the 11th, where he can potentially get on in two, or close to on, and give himself a relatively easy birdie putt. Just like nine, this has a do-or-die feeling. Not a great start as his tee shot finds a fairway bunker. 3:58 p.m.: BUT A PRETTTTTTY GOOD SECOND. He goes for it like a crazy person out of the bunker, and somehow got it onto the green, pin-high, 30 feet from the hole. That’s exactly the kind of ridiculous shot he needed to jumpstart this round. And he follows the safe formula on the green—strong lag putt, tap in for the birdie. CO-LEADER!!! 4:01 p.m.: It just occurred to me that if there’s a playoff, I’m going to have to miss part of the NCAA selection show. Please don’t do this to me, golf. Rahm and his caddie were not in a happy place after their disaster on the 11th hole. 4:11 p.m.: What seemed like a surging field moments ago is now a dropping-like-flies field, and Rory about to attempt to drive the green on the par-4 12th … and he ends up just fine to the right of the green. He’s got momentum on his side. 4:12 p.m.: Except for the fact that Eddie Pepperell is just SCORCHING. He just made an insane twister of a putt on 17 to move to -14, and he has a chance to post a legitimately scary -15 if he can finish with a birdie. 4:21 p.m.: IT GOES DOWN. It’s been so long since we could say this … ladies and gentlemen, with six holes to play, Rory McIlroy is officially the man to beat. What a putt! 4:30 p.m.: The less said about Rory’s birdie putt on 13, the better. But he makes a testy, testy six-footer to stay at -15, Pepperell makes a nice par to finish at -14, and Jon Rahm just screamed something nasty-sounding after missing a birdie putt on 12. Then Vegas hits a stunner to six feet on 18, but can’t make the birdie, and he too finishes at -14. That’s a huge miss for Rory, as is a short miss from Snedeker on 15 that could have brought him within a shot. 4:34 p.m.: Rory cannot miss off the tee. Another perfect shot on 14. According to noted golf commentator Ron Paul, it’s happening. 4:38 p.m.: Things are happening so quickly. Rahm birdies to get back to -14, Rory manages to find the bunker, and Furyk just absolutely stuffed it on the island green. I can barely function right now. 4:42 p.m.: Furyk almost backed up right into the water praying for his birdie putt try to go down. It didn’t. 4:45 p.m.: Absolutely enormous miss for Rory. Five-footer for par, and he’s back to -14. “A pathetic effort from McIlroy,” says Azinger, and that’s not too harsh. GOD. This one’s on me—I jinxed him. Five-way tie at -14. 4:52 p.m.: Welp. Jim Furyk basically guaranteed the clubhouse lead at -15 after the approach shot of the day on 18. Eddie Pepperell and Jhonattan Vegas, you may go home. Rory, it’s time to find something. Anything. 4:56 p.m.: The entire field is now at -14. Well, Snedeker is anyway. And they’re all chasing Furyk, who is indeed in the clubhouse at -15, just ahead of the entire Team Europe roster. 4:57 p.m.: RORY WITH THE BIRDIE. 13-FOOTER. I DON’T EVEN KNOW HOW HE GOT ON THE GREEN. THINGS ARE MOVING FAST. TIE BALLGAME! 5:05 p.m.: Snedeker, not known for making big putts, also doesn’t make this one. 5:10 p.m.: OK, here we go: Rory hits a gorgeous approach on 16, gets a roll from the middle of the green and is going to make at least birdie to take the lead. If he makes the eagle, he’ll lead by two. I don’t want to get excited, but realistically at this point nobody can catch him if he birdies here and makes par on 17 and 18. That’s the path to victory, and it’s not complicated. 5:14 p.m.: Rory makes the birdie. With two holes left, he’s at -16 and holds a one-shot lead. And I swear, I’ll be fine, and no, there’s no particular reason I’m in the fetal position in the cabinet beneath the kitchen sink. All good here, folks! McIlroy takes aim at the 17th green. 5:18 p.m.: Ahhhhh he survived the island tee shot! He played it safe by going toward the middle, but not so safe with the distance—he’s on the front with little room to spare. 5:20 p.m.: Rahm is in meltdown mode, Snedeker fell apart on 18, and right now it seems like the only person with a prayer of getting close to Furyk or Rory is Fleetwood, who just got an insane kick on his approach at 16 and has a short eagle putt to get -14. Even then, he’d have to finish birdie-birdie to get to -16. 5:21 p.m.: As the No. 1 face-reader in all golf media, I believe I’m witnessing the old badass cutthroat diamond-cutting shark eyes from Rory. 5:27 p.m.: The dog head cover is off the driver. I’m shaking. Azinger doesn’t like it. I personally believe Rory should use putter, but I might be a coward. 5:29 p.m.: Fleetwood’s in the water. It’s over. It’s actually over. 5:34 p.m.: Boy, he really went close to that water on the approach! Like, real, real close! But he keeps it on the green, makes par, and our long international nightmare is over. 5:38 p.m.: I’ll leave you with a few measured thoughts: Rory is back, everybody else is endangered, and he’s going to win, minimum, three majors this year, and you can etch that in stone. Have my emotions got the better of me? Possibly! But that just means I’m reading the writing on the wall. The king walks among us, and we’ll never be normal again.